Ben Bass and Beyond: Can you work Blue? Did you ever want to perform in Blue Man Group? Here's your chance. Blue Man Group is holding an open casting call on Tuesday, April 19 from 10 a.m. to 4 p.m. at the Briar Street Theatre, 3133 N. Halsted Street, Chicago. More information in Blue Man Group's press release after the jump. 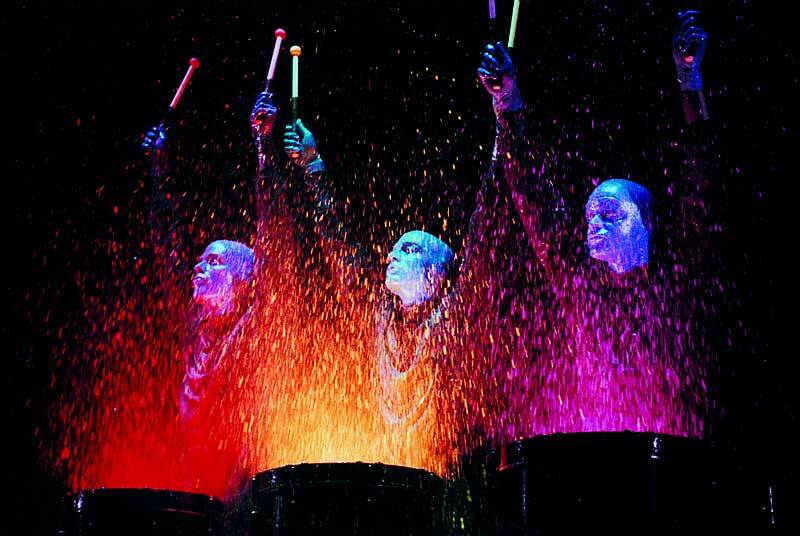 TUESDAY, APRIL 19 – 10 A.M.- 4 P.M.
CHICAGO - Blue Man Group, the international entertainment phenomenon, is looking for additional Blue Men. An open casting call is scheduled for Tuesday, April 19 from 10 a.m. to 4 p.m. at the Briar Street Theatre (3133 N. Halsted St.). The casting department is searching for talented performers with the unique combination of qualities to be a Blue Man for its existing and upcoming productions and multimedia projects. The Blue Man cast features performing artists with a diverse mix of disciplines: classically-trained actors, rock musicians and dancers. Once cast, the new Blue Men will have the opportunity to perform in one of the nine ongoing theatrical productions in Chicago, New York, Boston, Las Vegas, Orlando, Berlin, Tokyo and on tour throughout the U.S. In addition, the Blue Men can be seen onboard the new Norwegian Epic by Norwegian Cruise Line – the Official Cruise Line of Blue Man Group. The Blue Man Group open casting calls have been instrumental in finding the next generation of wide-eyed explorers of contemporary civilization. In the most recent Chicago open casting call, a Chicago local, Nick Rush, auditioned and now performs as one of the ever-curious and creative Blue Men at the Briar Street Theatre, where the production was recently updated with critically hailed new material. This open call audition is for Blue Man performers. Musicians who do not meet the above criteria can be considered for Blue Man Group band positions by submitting application information on bluemancasting.com. For more information about ongoing Blue Man Group casting efforts, performers may visit bluemancasting.com. Blue Man Group’s appeal is multi-generational, with several projects specifically designed for young people, including “Making Waves,” a popular touring exhibit for children, and the recently launched national “Invent an Instrument” competition. The company’s music, featuring custom made instruments and signature, percussive sound, can be heard on five albums, including the Grammy-nominated “Audio,” as well as various film and television projects. As the company grows, it remains true to its vision of providing exciting experiences in a variety of media, appealing to a broad range of age groups and cultural backgrounds. Learn more at www.blueman.com. Tuesday, April 19 – 10 a.m. - 4 p.m. But if you tried out and made it, you'd be green! Nah, I'm already in the black.